Introduction - what is digital audio? 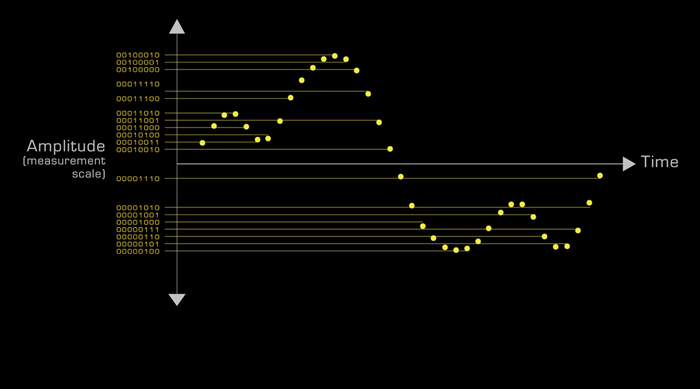 Welcome to this introduction to our videos on digital audio theory. Analogue audio is a method for representing the unique shape of a changing air pressure energy soundwave in another form of energy, such as electricity or magnetism, in order to transmit, process, amplify or store it. In essence, a pattern of changing air pressure energy is converted by a microphone into an electrical pressure signal which retains the same pattern. The signal may then be processed, amplified and sent to a loudspeaker system, or converted to a pattern of magnetic flux stored on analogue recording tape. 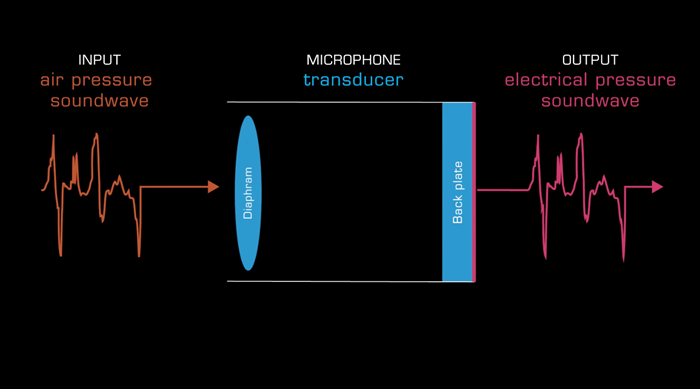 Electrical analogue audio signals may also be originated within the electronic circuits of an analogue oscillator. So what then is digital audio? Caption - What is digital audio? Digital audio is a method of representing sound with binary code. 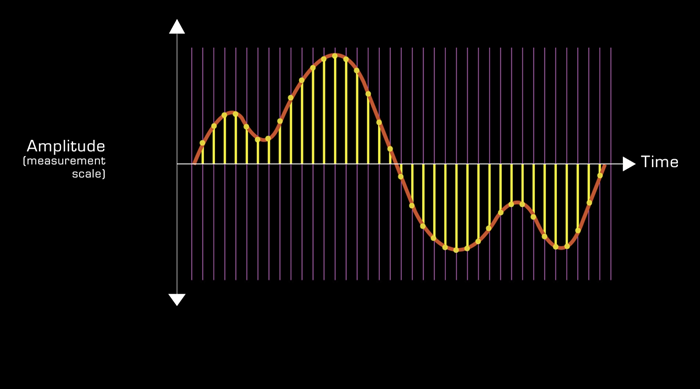 It takes the form of a mathematical description of the shape of a soundwave and offers several advantages over the representation of sound in analogue electrical and magnetic forms. Caption - How are digital audio signals originated? 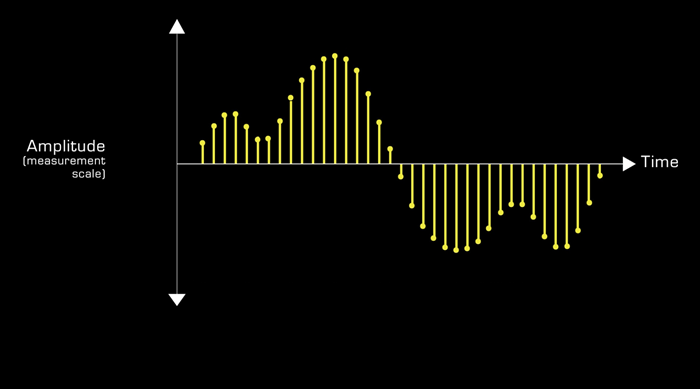 A digital audio signal can be created from scratch in software (pause) or derived from an analogue audio signal via a process known as analogue to digital conversion. By studying analogue to digital conversion we can arrive at a useful understanding of what digital audio is and what properties determine its quality. Caption - Why is an understanding of digital audio theory useful? There are many compelling reasons for home and project studio owners to learn basic digital audio theory, including ..
Caption - Do we need to understand sound wave theory first? 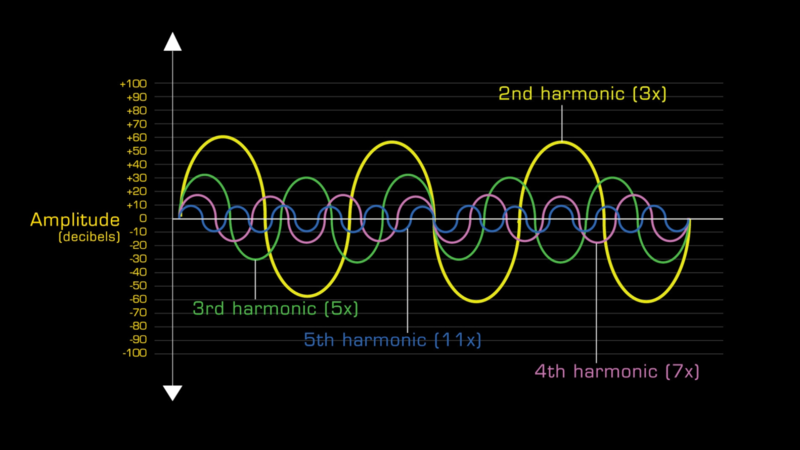 Digital audio theory knowledge is as important as, and depends upon, a comprehensive understanding of sound wave theory, so if you are not familiar with concepts such as frequency, harmonics and amplitude you should watch our Sound Wave Theory videos first. Caption - How hard is it to learn digital audio theory? Although learning digital audio theory is challenging, it is comforting to know that ..
2. we only have to learn the theory once, the fundamentals have not changed in decades and are unlikely to do so any time soon. Caption - What needs to be learnt? The six primary digital audio subject areas that home and project studio owners need to know are ..